I have never seen such a beat up French vehicle! This WWII vintage Char B1 Bis is seen here includes five parts of the tank seemingly used for target practice. This can be used with a current kit or strewn around the deck in a diorama or with a smaller vignette. I can see some victorious Panzer tankers standing on top of this turret. The 120mm resin figure of a German army staff officer bears almost an uncanny resemblance to a certain “Desert Fox” that I might have heard of with his high cheek bones and searching eyes. There is some very nice detail here portrayed in his delicately sculpted side boards and emblems on his tunic down to his General staff stripes on his breeches and cuff armbands. Nine parts in resin are included in the box and he carries a map pouch and some field glasses as well as a cigarette that it look like he is just about to smoke whilst looking at a distant target on the horizon. Perhaps over the English channel? 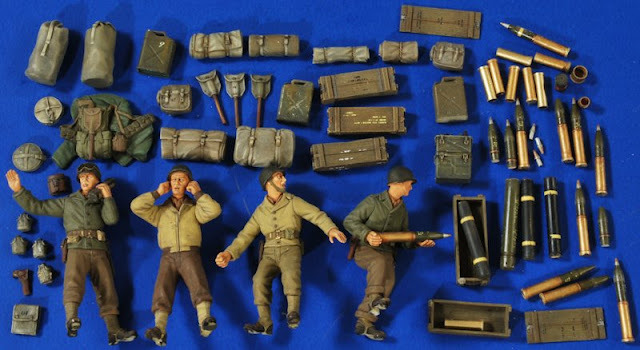 This world War II set contains four figures in cream resin – busily doing all they can to get their gun to keep firing are in this set. 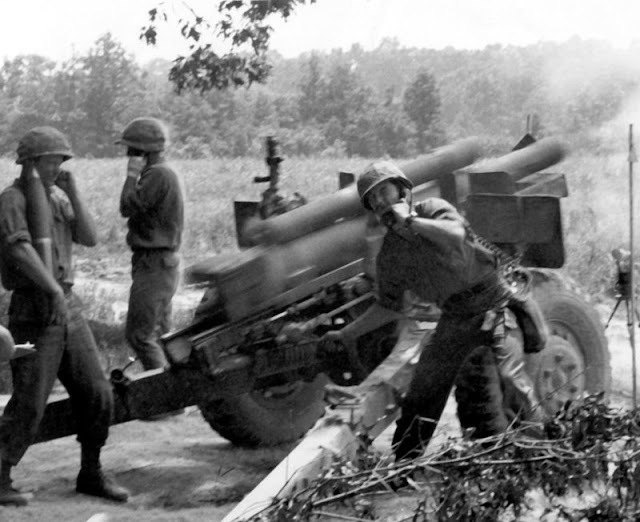 You have a commander issuing firing orders and on his walkie-talkie, a loader and a soldier firing the gun whilst another G.I. covers his ears. Not only are the crew include but everything you would need to fire the gun is included in resin – spent and unspent shells, shells in their cases and their ammo boxes along with jerry cans and other containers. The soldiers gear is also covered in this set – several sleeping bags in canvas as well as several packs, water bottles, entrenching tools, a pistol in it’s holster and several other personals – this is a very full indeed box. Over seventy parts of resin make up the kit which is an upgrade from the earlier 2760 kit without the base - plaster and two figures in resin and various gear from a late 60’s early 70’s Vietnam firebase. You will need the Italeri or Dragon 105mm to go along with the set (not included) but pretty much everything else is here. One figure is seen on his knees issuing firing orders whilst the other is giving him orders of the adjustments. There is plenty of resin accessories to pack out this base and sandbagged diorama, used and unused ammo – loose and in boxes is supplied so you can littler it around your diorama, boxes for the shells are included as well. All of these products should be on the Verlinden to buy as we type! Till next month when we update you again please do check out Verlinden’s updated website and their Facebook page as well.. This vignette features two SS soldiers in house to house combat. The base included in the set and if you look closely there is a dead soldier integrated into the ground that they are fighting over! 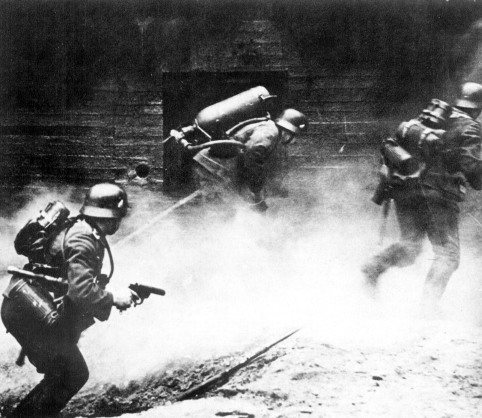 One of the Germans is throwing grenade and the other has “Flammenverfer” – or Flamethrower at the ready to literally “Smoke” anyone that moves. This set is in 1/35 scale and the base, the soldiers and their equipment are in cream resin. These pair of Mark 81 “Snakeye” bombs are lovingly represented here in 1/32 scale to fit on your modern aircraft diorama. The snakeyes were used for low level ground attack. They were well documented to have air brakes on the tail to retard their fall to let the delivering aircraft get out of the way. 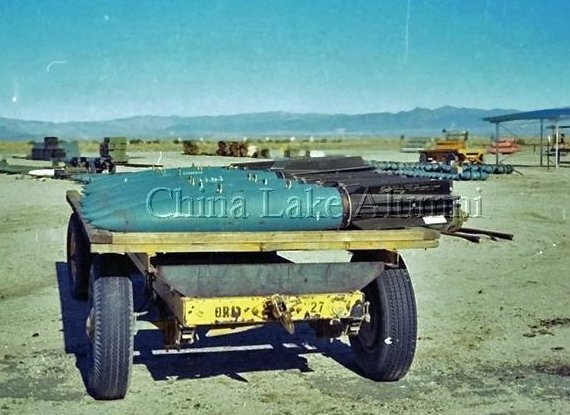 Well in this resin set Verlinden have a low level delivery system of their own – a small cart to take the pair of bombs to their awaiting aircraft! 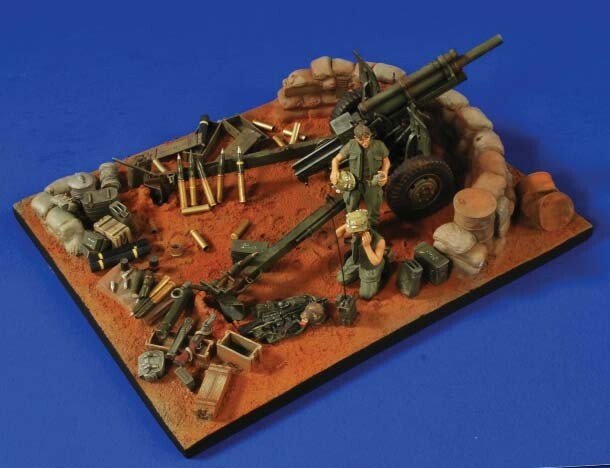 Made from cream resin, this cart and the bombs will suit any modern Vietnam era and after diorama or aircraft kit. Releasable on demand – so if you want one you have to contact Verlinden directly. We know he is a special soldier because he also wears an iron cross on his throat or the Knight's Cross “(Ritterkreuz des Eisernen Kreuzes)” which soldiers sometimes called a “Sore throat” as it was worn on the neck. Details like his fine side boards and his standard issue belt really look great on this 1/16th scale resin figure kit. 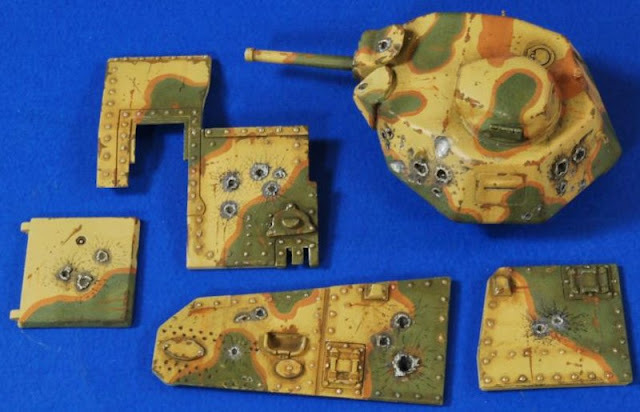 This set contains all the resin parts you will likely need to build a Vietnam firebase dio of a firing 105mm Howitzer and its crew. Over seventy parts of resin make up the kit and we haven’t even included the two crew members, one reading out the co –ordinates on his map 9 with his can of drink in hand) and the other relaying instructions on the radio. All of these products should be on the Verlinden to buy as we type! Verlinden is keeping their word and updating their blog in the New Year – check in there to see their massive product catch up from the things they didn’t show us in detail last year – also check out their Facebook page – and if all else fails us we will always have their stuff here for you to see as well!